Wired Productions's tweet - "🚨In 48 hours we'll be giving away a #NintendoSwitch ➕ EVERY Wired game! 🚨 *Follow and RT* via the link to enter! Good luck! 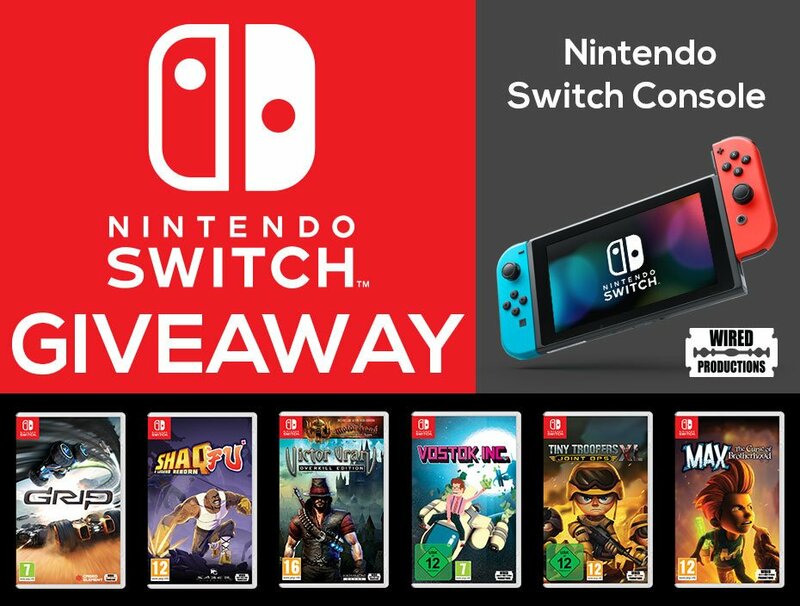 Bonus ways to enter and increase your chances &gt; #Competition #WiredGames #Prize #WIN #Giveaway #PrizeDraw "
*Follow and RT* via the link to enter! I’d be happy just to win Vostok !!! God save the Queen.....And MEEEEEEEEEEEEEE !!! AMEN ! Man, I want to play Shaq Fu! I dont have a switch, so this would ve awesome so i can take GRIP on the go!